Join us at SAIT on December 2nd for Auto-Nation Invasion and the FRC Beta Bots competition! 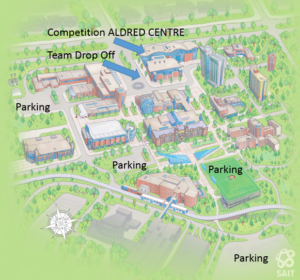 The 2017 FRC FIRST STEAMWORKS Western Canada Regional is April 6-8 at the University of Calgary Olympic Oval. Join us as we welcome high school robotics teams from Austalia, China, Poland, Turkey, Mexico, the USA, and Canada as they compete for robotics glory! 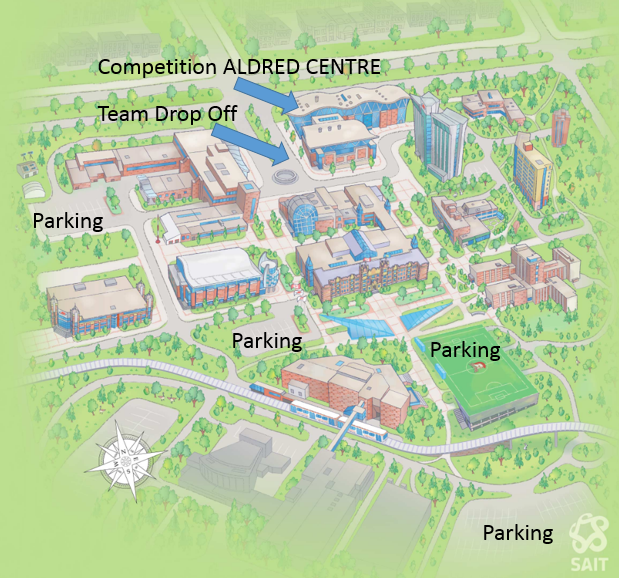 Judging 8:30am to 2pm 8:30am – 2:00pm Core Values, Report, and Robot Design in Classrooms by Competition Fields. 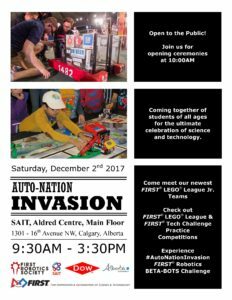 Seems that the Alberta Youth Robotics Society cancelled the Calgary FLL competition run by your FIRST Robotics Society. You probably planned on attending. Well, so did we… and we already booked a GREAT venue, the sound system, volunteers and a whole bunch of FLL tables. So we figured if we have all this ready, why not compete? 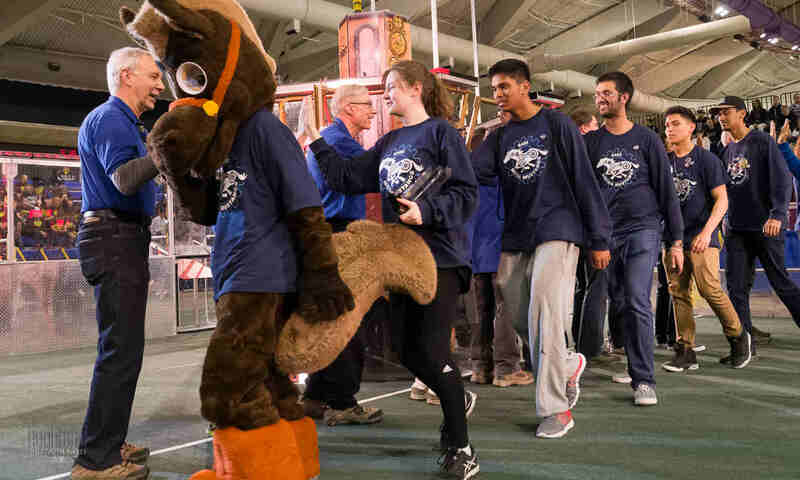 FIRST Robotics Society Western Canada has announced the Canada Crown Cup FLL tournament in Calgary, which you can read all about here! 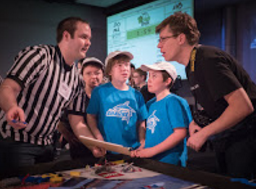 Crown Cup of Canada FLL Tournament Announced! 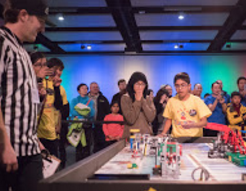 You and your FLL team are hereby invited to participate in the FLL Crown Cup of Canada competition, presented by FIRST Robotics Society of Western Canada and the same incredible volunteers that have made FLL dreams come true for years. Same place, same time. No need to adjust your calendar, no need to make new field trip forms! Already have a hotel reservation? Keep it! Booked a bus? Yellow or silver, no need for a new map for the driver. Register now, limited spots available! 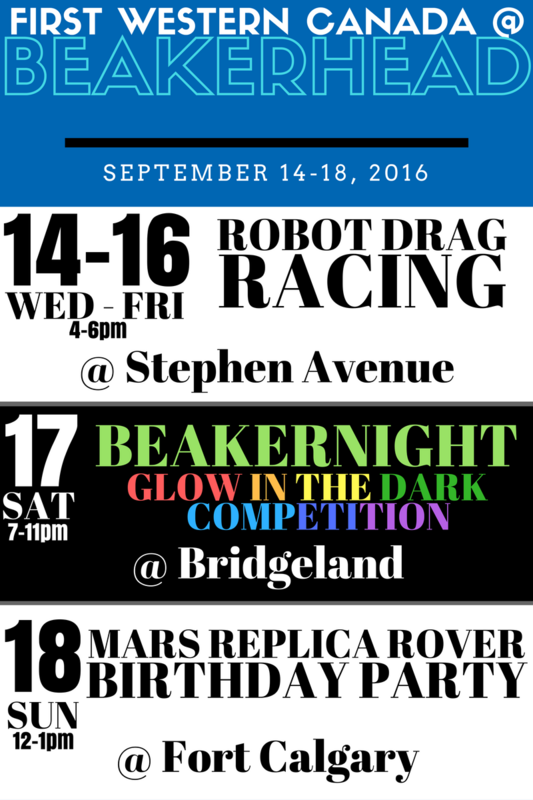 Come out and see us at Beakerhead in Calgary! See competition robots speed down the avenue in this furious one-on-one race to win the coveted mini-cup! See a full FRC level robot competition played in the dark, with robots all aglow! See a replica of the Mars lander navigate the sandbox, while other robots try their best at a game of soccer.